This colour absolutely screams winter and christmas to me it is a really silvery grey! Even though our Christmad here in Australia is full of sunshine, heat and icecream! .. 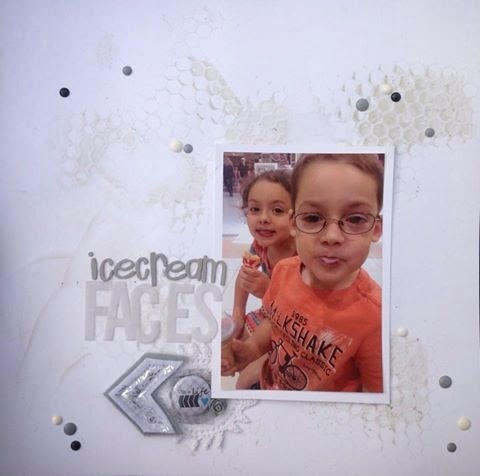 I could resist using this image of my lil folks eating their icecreams and making icecream faces for me at the same time. I dont want them to get any bigger, they are awesome as they are right now. Honeycomb Mask on background mixed with grey paint and gesso for texture and height. Parts of it were also 'swiped' with the same paint mix and a credit card to make it less even. The flair is from D-lish scraps in one of their past 'just add paper kits'. 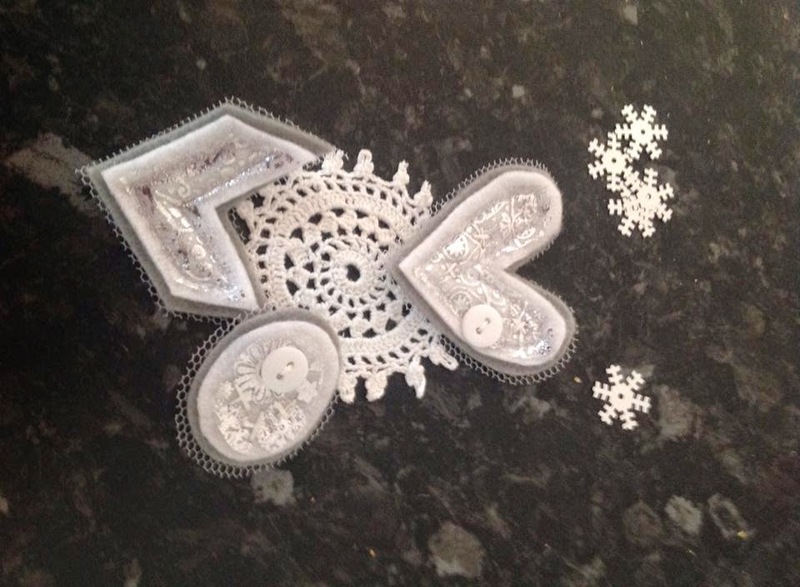 The embellishments of the doily and chevron are from Charms Creations and were gifted to the Creative Team at White.. with 1 for this months layout. s.